Florida Shutters services the Vero Beach area and also exports to Bermuda, the Bahamas and other Caribbean locations. They make accordion shutters that combine strength, ease of operation and economy into a shutter system that neatly stacks to either side of the window or door, with no parts to store. Extruded aluminum and stainless steel last a long time even under severe coastal conditions. 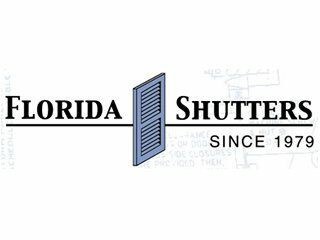 Florida Shutters makes Rolling Shutters that glide up and down in side rails mounted on the exterior of the window or door. They can be operated electronically or manually. Bahama Shutters are hinged at the top and project away from the wall with telescopic arms at the bottom. Bahama Shutters easily close to provide storm protection. They provide shade the rest of the time. And another less expensive solution is Hurricane Panels which are intended to be stored and put up for hurricane protection or seasonal closings. Florida Shutters' Hurricane Panel system consists of vertical overlapping lightweight aluminum or lexan panels that fit into a header at top and fastened with wing nuts on the bottom. Approved for 200+ Hurricane Winds. How to Determine the Correct Slat: Our shutters are tested and approved in accordance with all current certification authorities to provide hurricane protection. Our shutters pass all current state codes for hurricane protection. Deciding how to select the right shutter for your application. Currently there are numerous wind load specifications established and accepted by different counties through out the U.S. There is no single adopted windload chart accepted, so each installation needs to check with the local county, state, or governing body to establish the correct wind load table. Check with your local building inspector for the applicable code. 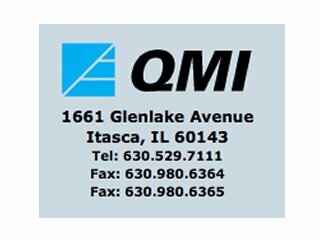 QMI does not provide, or specify for construction, design criteria for windload design pressure specifications for any structure. This is only done by a qualified licensed structural engineer.